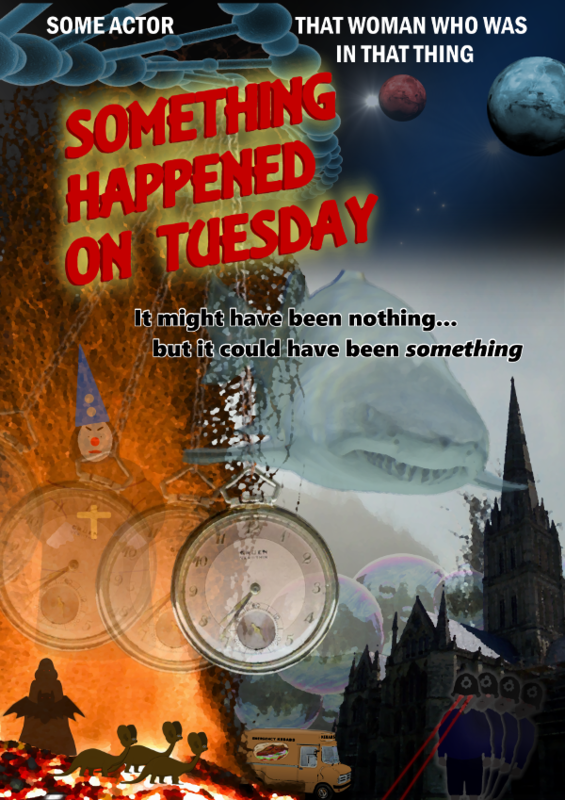 Hotly tipped to clean up at next year's Oscars, Something Happened on Tuesday is the vague an uninspired true story of something that might have happened - possibly a fire, or a robbery, or a vegetable competition - on a Tuesday. Or possibly another day of the week. 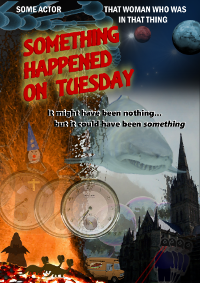 It's based on a newspaper report written by junior reporter Michael Moped for the Shepton Bassett Argus, about an incident or a fire or a fight or something that might have happened in a nightclub or a restaurant or a car park. The report itself was thin on facts because, in line with standard journalistic practice, it was sourced from a tweet posted by the police or the fire brigade or a concerned bystander or someone. Mr Moped didn't investigate further because it was cold out and Luther was on the telly but Hollywood moguls nevertheless saw that it would make excellent source material for a vague and uninteresting motion picture staring Nic Cage or Meryl Streep or Laurence Fishburne or someone. However, controversy waits in the wings as the film studio is currently fighting a claim for copyright infringement by the police or the fire brigade or whoever it was who posted the original tweet. And if the police or the fire brigade or whoever should win then it's likely that they will in turn have to defend a claim against whoever was behind the incident or the fire or the fight or whatever it was. ... He hasn't responded, nor is he likely to, but if the BBC can write itself into a story and try to kid its audience that it is carrying out some kind of journalistic investigation, rather than just paraphrasing a press release by saying 'we have contacted so-and-so for a comment', then why the hell can't we do the same?